With Rifle Optics, Remember that Form Follows Function. It’s a simple rule for picking rifle optics, but one that’s easily forgotten. Long range? Close range? Both? Hunting? Combat? Benchrest shooting? Looking cool to impress your friends at the range? All of the above? No matter what your purpose is, here’s a comparison of the common / popular sighting systems on the market today to help you make a decision. Also called “open sights”, Iron sights are the oldest and most common sighting system. You simply line up the front and rear sight up with the target and pull the trigger. Compared to other rifle optics, iron sights are mostly at a disadvantage. At close range they are slower and cover more of the target than reflex sights and low powered variable scopes. (both covered below) They also provide no magnification for long range shooting. Their saving grace is they are cheap. Some of them are adjustable to compensate for bullet drop at long range. Iron sights are just as accurate as other rifle optics, but not as versatile. Back Up Iron Sights (or “BUIS”) are a special type of iron sight that can fold down and/or out of the way until they are needed. Usually they are back ups in case the primary optic is damaged. If you plan on using a battery powered electronic sight (like a reflex sight) I highly recommend them in case your batteries die. That allows a very fast transition from the primary rifle optic to the back up sights. They are especially useful when the primary optic is a scope and you need to shoot at close range target without warning. It looks kind of hokey sometimes, but it’s very effective and very fast. Amazon has some inexpensive 45 degree sights so you can give them a go without breaking the bank. They also have high quality Folding 45 degree sights and some high quality folding Back Up Iron Sights for cheap. Reflex optic is a catch-all phrase describing non-magnified rifle optics that are essentially parallax free. What is Parallax? I’m glad you asked. Notice the crosshairs dance all over the target as you move your head. If your head (eye) isn’t directly behind the scope, it can throw your shot off target. Reflex optics don’t have that problem. NOTE: The camera is moving. The sight and target are stationary. This is an Early reflex optic from 1943. Note there is some parallax. Modern reflex optics have mostly eliminated it. Because of their genius design, reflex sights have no parallax issues (except maybe under 5-7 yards.) So you don’t need to take extra time to center your eye behind the optic to hit your target. It means reflex sights are FAST. In fact, they are the fastest rifle optics at close range. That’s why the military and law enforcement use them for Close Quarters Combat. Under 50-100 yards, NOTHING beats them for speed on target. That makes them ideal for Close Quarters Combat, home defense, and close range hunting applications. While they excel at close range, at longer ranges (50-150 yards depending on your eyes and training) they aren’t very precise. Even if your eyes are fantastic, beyond 200-250 yards bullet drop becomes an issues. Reflex Sights provide no way to know how far the bullet will drop and no way to accurately estimate range. They are the kings of Close Quarters, but other rifle optics are much better options for mid-range and further. Most reflex optics also require batteries, though some are powered by self luminous tritium and ambient light. The battery life of some reflex optics measured in years, so it’s not much of a concern. 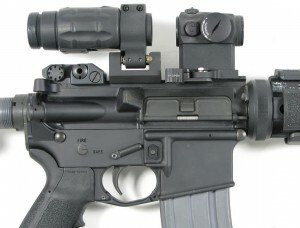 Some people mount a small, 3x or 4x power magnifier behind their reflex optics to add some magnification. These magnifiers are usually attached via a mount that can pivot or slide out of the way to use the reflex optic without magnification. This solves the lack of magnification problem, but there’s still no way to compensate for bullet drop. This setup is usually as heavy (or heavier) than the more versatile low powered variable scope covered lower down. Amazon.com has a tough and inexpensive Reflex sight, and also a great 3x Magnifier for Reflex sights. This is what most people think of when they say scope. It’s probably the most common of rifle optics today. Don’t Buy too much magnification. You do NOT need high magnification to hit well at longer ranges. Assuming you have the skills, all you need is to see your target. The military will (indirectly) back me up on this. They picked a fixed 10 power scope for their snipers and consider it effective out to 1000 yards. That’s only 1 power per hundred yards. During WWII, snipers made shots with 4 power scopes beyond 800 yards. One of my co-workers in the gun shop is US Marine. As part of his qualification, he had to hit a 2 foot circular steel plate at 800 yards using Iron Sights (no magnification) with 70% accuracy. That’s 7 out of 10 shots with zero magnification at 800 yards. During the American Civil War, a Confederate sharpshooter killed an enemy soldier at 1,390 yards, with a Muzzle Loading Whitworth rifle and Iron Sights. You do NOT need high magnification to hit well at longer ranges. My general rule is No More Than 1 power per 50 yards. 1 Power per 100 yards is enough according to the military. That means a 2-7 scope could hold you out to 700 yards. More helps, but only to a point. 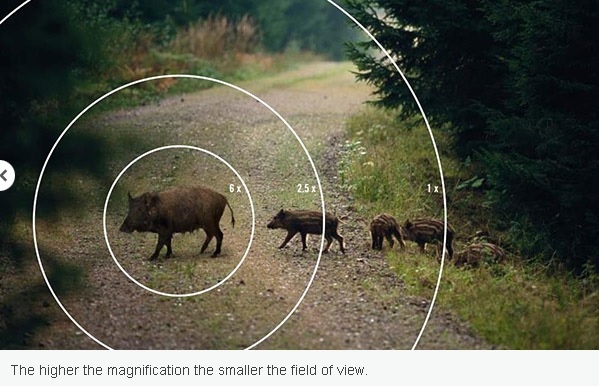 More magnification won’t make you a better shot, but it could make you lose your target. Field of view is the area of the target that you can see. Magnification and field of view are mortal enemies. Whenever one increases, the other must decrease. As the magnification gets higher, the field of view narrows. As the magnification gets lower, the field of view gets wider. Notice that the greater the magnification, the less you can see. Too little Field of View is the Best reason not get a high magnification scope. More magnification makes it more difficult to quickly find a target. And once you’ve found your target (say the pig in the picture, or an enemy soldier) what happens if it get startled and moves suddenly? On 1 power, no big deal. On 6 power, good luck finding the target again. The military recently requested a low powered variable scope (1-X power) because the fixed 3 & 4 power rifle optics they have been using were too slow at close range combat…. …Because of the field of view. In combat (and hunting to a lesser extent) high magnification also prevents you from seeing other things around your target, creating a situational awareness problem. For Hunting and combat, field of view is FAR more important than magnification. That said, a good scope can have both, just not at the same time. A variable scope with 2-3 (or even 4) power on the low end has enough field of view to find a target. But you can also dial the power up for long range shots. First focal plane vs second focal plane refers to the scope reticle (crosshairs). In a first focal plane (FFP) scope, the reticle stays the same size relative to the target. In a second focal plane (SFP)scope, the reticle stays the same size relative to the shooter. Note the crosshairs on the top example appear to grow and shrink in size depending on the power. FFP crosshairs appear to cover more target on higher power. In reality, they ALWAYS cover the same amount of target on all magnification levels. It just looks like they are covering more target because they appear larger. If you notice the horizontal lines marked 3 and 4. Those simulate a bullet drop compensating reticle, and shows how far the bullet will drop at 300 and 400 yards. On a FFP scope, those marks will be accurate on all magnification levels. Because of this, FFP scopes are EXCELLENT for range finding and/or bullet drop compensating. Easily better than the other rifle optics because they will be accurate on all magnification levels. On a SFP scope, they will only be accurate on 1 magnification level. (usually the highest) If you are at the wrong power with a SFP scope and try to use the ranging or bullet drop features, they won’t work and you will miss. In the picture above, notice the SFP crosshairs covered less of the bull’s eye as the magnification went up. For shooting to 200-250, it almost doesn’t matter which you pick. 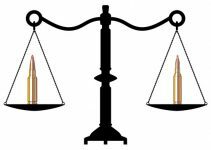 Most modern rifle cartridges are +/- 2-3 inches out to 200-250 when properly zeroed (at 50 yards). It’s only at longer ranges that the ranging and/or bullet drop features become useful. Beyond 200-250 yards, the FFP scopes have an advantage in ranging and bullet drop compensation because the scope will be accurate on all powers. Choose which ever appeals to you most and/or is within your budget. Amazon has a high quality but inexpensive FFP Scope with the best Range Finding and Bullet Drop Compensating reticle I’ve ever seen. (if the reticle is a little busy for you, here is the same scope with a simpler reticle.) They also carry a very good SFP scope. Fixed power scopes Refer to scopes that have only one magnification level. They aren’t adjustable. They are less versatile that variable power scopes, but they follow the KISS (Keep It Stupid Simple) rule. Often fixed power scopes are 3x or 4x power. Higher and lower magnifications can be found, but they are less common. The military uses a fixed 4x power optic in the Trijicon ACOG. Though as mentioned above, 3 and 4 power can be a little slow at close range. In the past, they were an excellent option because you could get a high quality fixed power scope much cheaper than a variable power scope. Lately, variable power scopes are have closed the gap cost wise. I would go with a variable, but a fixed power scope is a time honored option that still works well. 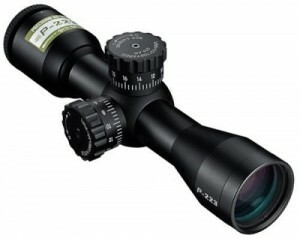 Amazon has a good fixed 3x power scope, and a good fixed 4x power scope. For rifle optics, this is easily my favorite option. A low powered variable scope has a magnification range with 1 power (no magnification) on the low end. Low powered variable scopes have several advantages over the other rifle optics. First, they don’t need batteries like most reflex optics do. Many Low powered variable scopes have illuminated reticles powered by batteries. However, the scope still works fine if the batteries are dead. Their biggest advantage is they can be almost as fast as reflex optics on 1 power, and allow precise shooting at longer ranges. Low power variable scopes can be set so there is very little parallax at close range. This allows them to be nearly as fast as reflex sights. If you need to make a longer range shot, you can dial the magnification up and get many of the advantages of a traditional scope. It’s an excellent “jack of all trades” solution. You won’t beat the reflex sight in close range or the scope at long… but you can come very close to both. I have a personal bias toward low powered variable scopes because they are arguably the most versatile of rifle optics. And I LOVE versatile equipment. Compared to reflex sights, Low powered variable scopes are much less forgiving in terms of head position. You need to have your head in a fairly specific place to see the target/crosshairs. Fortunately, This only becomes an issue in non-standard firing positions. Also compared to Reflex sights, low powered variable scopes are heavier. Miniature reflex sights can weigh 4-5 ounces. A good low powered variable will weigh at least a pound. Verses a traditional (higher powered) scope, they are at a disadvantage at longer ranges. Though as mentioned above, it’s not quite as large as you might think. Low powered variable scopes are excellent for hunting, combat, home defense, and virtually any other application out to 300 yards. With proper technique, they are effective beyond double that range. This is the best affordable Low powered variable scope I know of. If you prefer FFP, this is an excellent FFP scope option that won’t break the bank. Night vision optics amplify the ambient light and allow you to see in the dark. If you need to go hunting at night (for hogs and other nocturnal animals) they are quite useful. 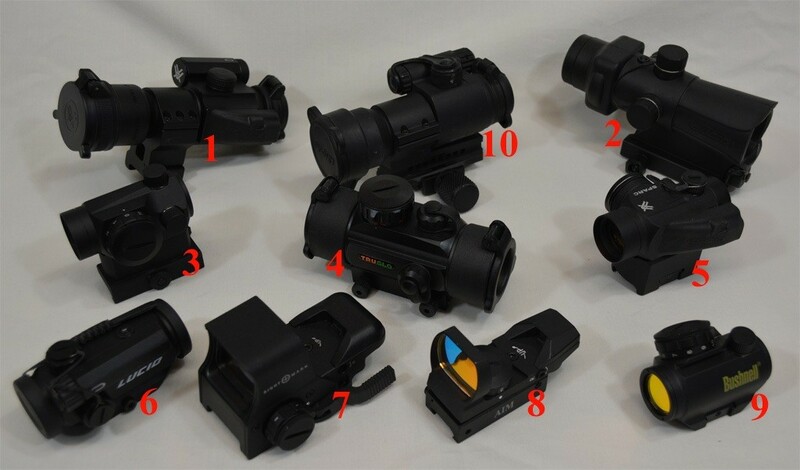 Some are designed to be used with your current “day scope” via a “clip on” night vision device. These usually mount in front of a traditional scope and allow you to use your current scope and the night vision at the same time. There are 3 generations of Night Vision, each better (and more $$$) than the last. For fun, home defense, or close range hunting (up to 50-60 yards, where most game are taken) gen 1 is probably fine. If you want something better (gen 2 or 3) then be prepared to shell out some serious cash. The clip on and gen 2 & 3 Night vision scopes can get expensive. 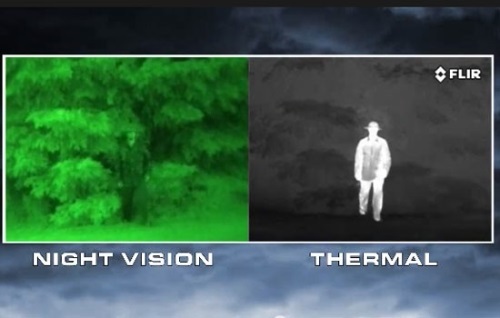 Thermal optics “see” heat and convert that to a visible picture. because of that, thermal scopes handily trounce all other rifle optics when it comes to finding targets. They can see in pitch black with ZERO light. These are easily the coolest rifle optics (pun intended), but budget minded folks like me need not apply. The cheapest thermal scope I’ve seen was in the $3000 range. That said, thermal scopes offer some Fantastic advantages over a traditional scope, though with some significant downsides too. They allow you to quickly and easily scan a large area to find animals, people, or anything significantly warmer or colder than it’s surroundings. Thermal have at least two large down sides: It’s very difficult to recognize faces and other fine details with thermal. Night vision is much better for that. They are also large and heavy, often weighing 1.5-2 pounds. If you want one, they are good ones available from Amazon. For target finding, Thermal optics rule. 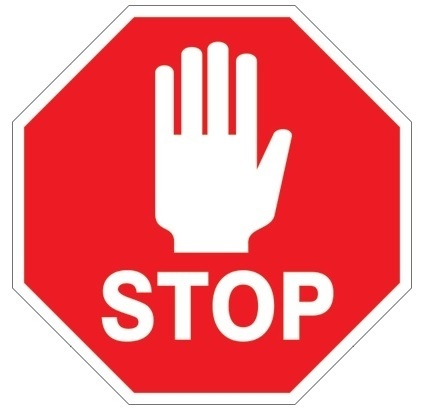 However, thermal will prevent you from seeing fine details or reading any thing (like signs). Here are my thoughts on which rifle optics are suitable for the following situations. 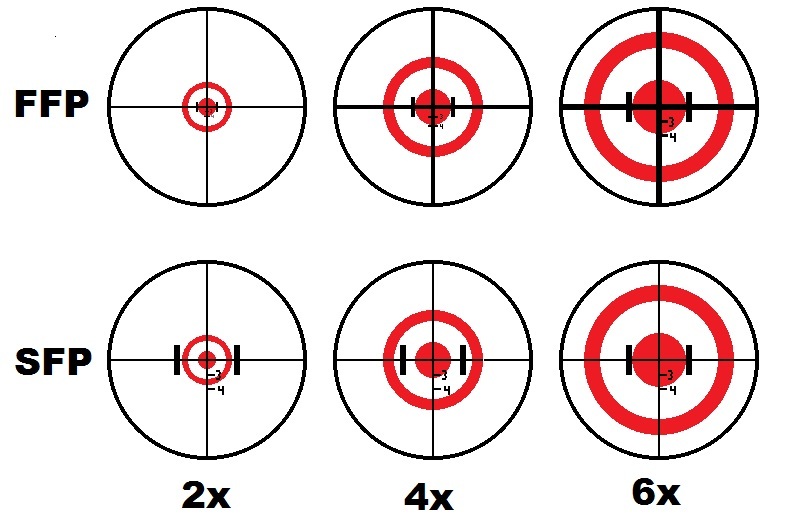 Target Shooting at a typical range (100 yards): Pick whichever you like best and enjoy! At 100 yards, your rifle optics aren’t the limiting factor. Long range target shooting: the definition of “long range” changes with the person. So I would suggest a general guideline of no more than 1 power per 50 yards. 1 power per 100 yards is a good minimum. Benchrest shooters can go a little higher, but remember it won’t make you a better shot. Hunting at Normal ranges: If your shots won’t be farther than 50-70 yards (normal hunting range) Then a reflex sight or low powered variable scope is an excellent choice. Iron sights or a fixed (low) power scope will also work fine. Hunting at Longer Ranges: If you are hunting with shots from 100 yards out to 300 yards, then a Low powered variable scope is a perfect choice. A fixed power scope is also an good choice. Iron sights or a reflex sight can work if you have good eyes and know your holdovers to compensate for bullet drop at longer ranges. 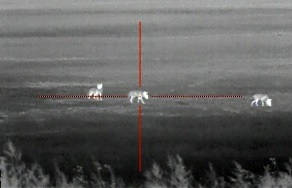 Hunting At Night: If you are hunting at night (not just dawn or Dusk) then a Thermal scope is ideal. 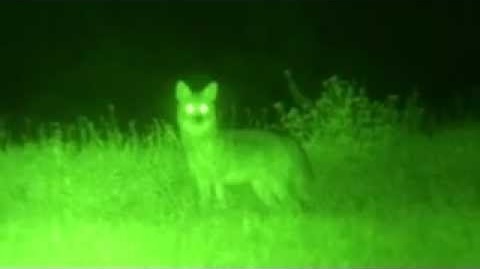 However, a Night vision scope is almost as good for a LOT less money. Close Quarters Combat / Home Defense: A reflex sight is king. A low powered Variable sight is nearly as good and more flexible if you need to take a longer range shot. Those are my humble recommendations for rifle optics. Go forth armed with knowledge. I enjoy shooting recreationally. I mostly hunt in areas where the average shot is about 150 yards or less, so a riflescope in the smaller range is probably ideal. Besides, a fixed power scope will serve nicely I guess. Any input from you or the blog readers on the Sightron or ATN scope offerings? I’d say a fixed power scope in the 2-3 range should work great for 150 yards. I haven’t used the Sightron or ATN optics though, so I really can’t cast a vote up or down. Really it’s great post. hunting machine is very need for your hunting challenge. If you want to hunt any animal very easily you should increase your hunting skill. Thanks for sharing for this impressive article and awesome video. Let’s say you’re in the market for a super long range optic. Maybe you are a hunter on the plains of the Midwest, or you’re a starting competition shooter searching into the sport, or perhaps you’re just a hand loader who desires to mix up his very own lengthy variety components. Whatever the reason you’re shooting long range, you want something this is going to allow you to stretch the legs of your rifle a bit.